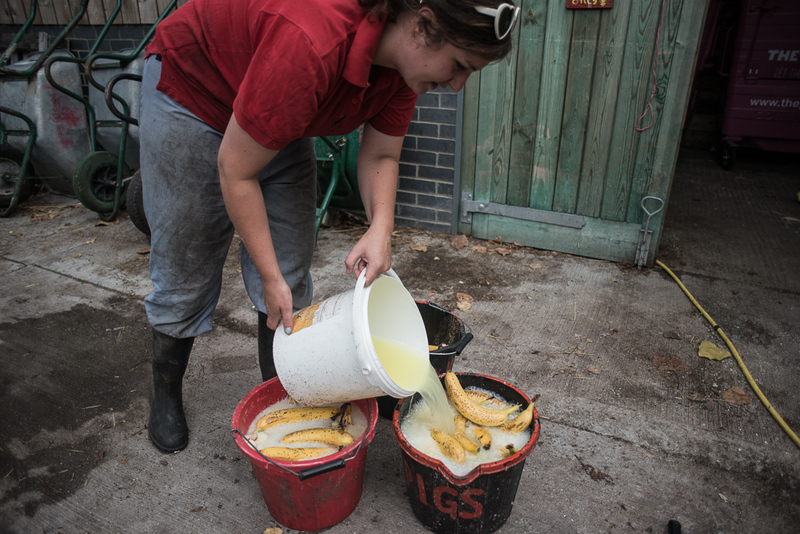 Feeding pigs food waste – a tradition that has existed for thousands of years, and a very efficient way of dealing with food waste produced by us humans, came to an abrupt end in the UK in 2001, after the outbreak of foot and mouth disease. To halt the spread of the disease 10 million sheep and cattle were killed. 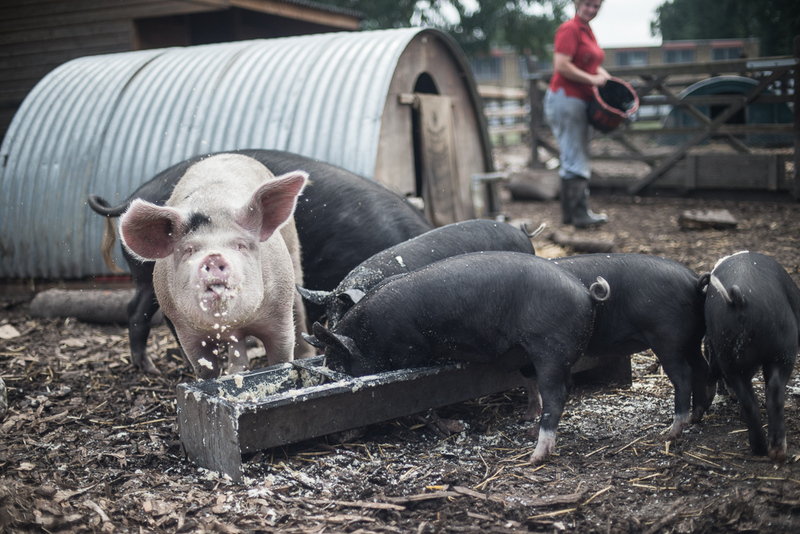 The economic devastation it caused – a loss of around £8 billion, primarily in the agriculture and tourism industries, motivated politicians to introduce a ban on feeding catering waste to pigs. However, they failed to consider the environmental and economic impact such a ban would have. Farmers turned to soya feed for their animals, much of it sourced from the Amazon basin, where deforestation has been occurring to cater for the increased demand since the ban. Now 97% of the soya produced globally is used as animal feed – using land and resources, that ultimately could be saved or used for feeding humans. There is now a reliance on commodity crops to feed animals, which has resulted in thousands of pig farmers in the UK going out of business, as the global prices increase with ever-increasing demand. 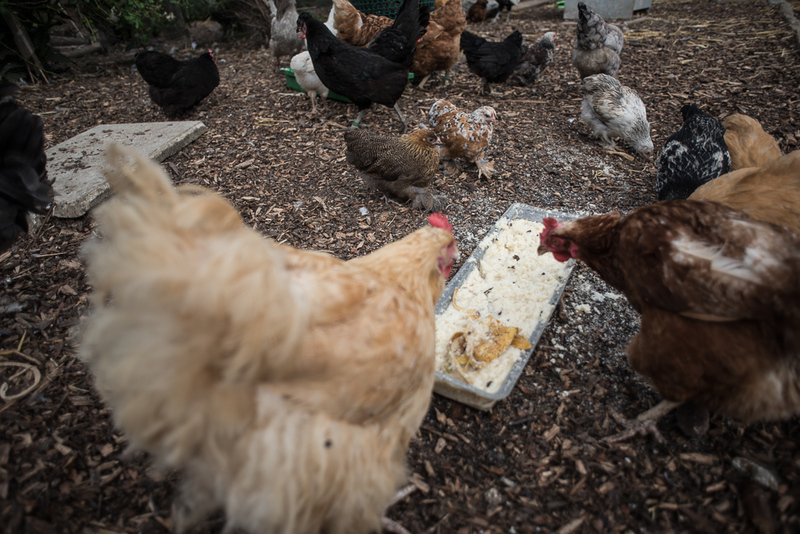 Other countries where outbreaks have occurred – such as Japan, South Korea, China, and parts of the U.S., recognise the benefit in feeding animals food waste, and do not impose a ban. 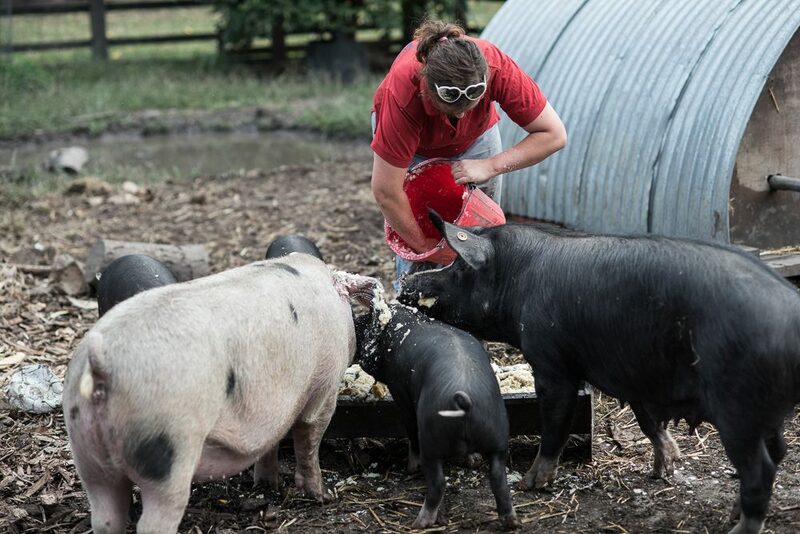 As part of the campaign, and in partnership with Stepney City Farm, they demonstrated how pigs could easily be reared on food that might otherwise have gone to waste, even with the ban in place. 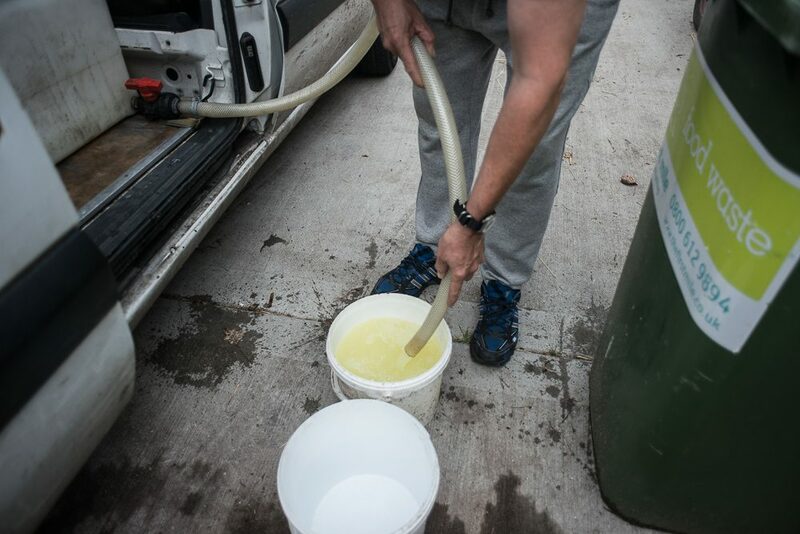 To document this I started off by visiting Kappacasein Dairy in Bermondsey, where the whey from the latest batch of cheese production was syphoned off. 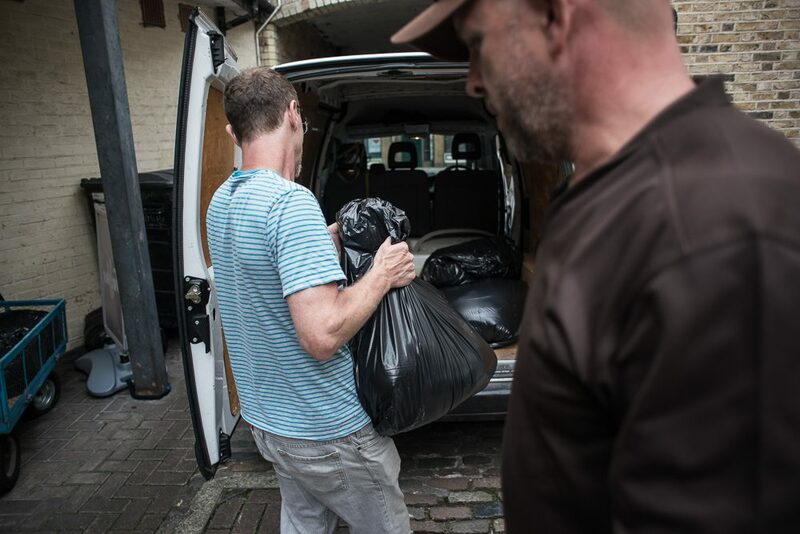 From there I went to Clean Bean, just off Brick Lane, where okara – a by-product of tofu production, was collected. 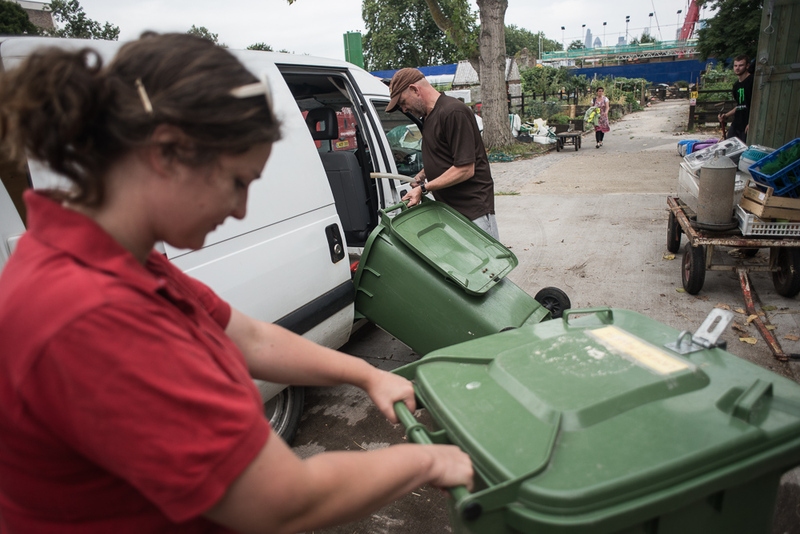 These were then taken to Stepney City Farm, where they were mixed together with some fruit rescued from a local market – saving more food that would otherwise have gone to waste. 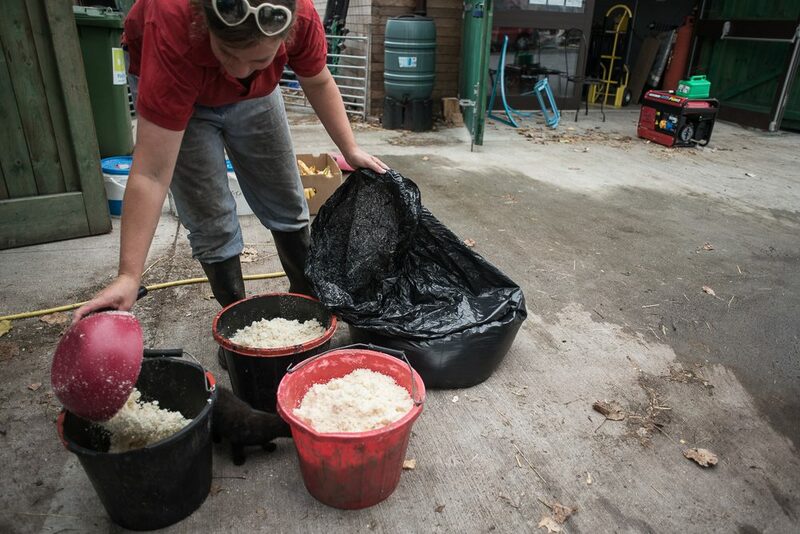 The pigs were only fed food waste, and they loved it…as did the chickens! Once the time came, the pigs were slaughtered for an event called Feeding the 5000 – a public feast to raise awareness about the issue of food waste, and the solutions to it. Through this action – the rearing and slaughtering of pigs fed on food waste – The Pig Idea effectively demonstrated the viability and value in feeding animals food that is not fit for human consumption, and that might otherwise go to waste. 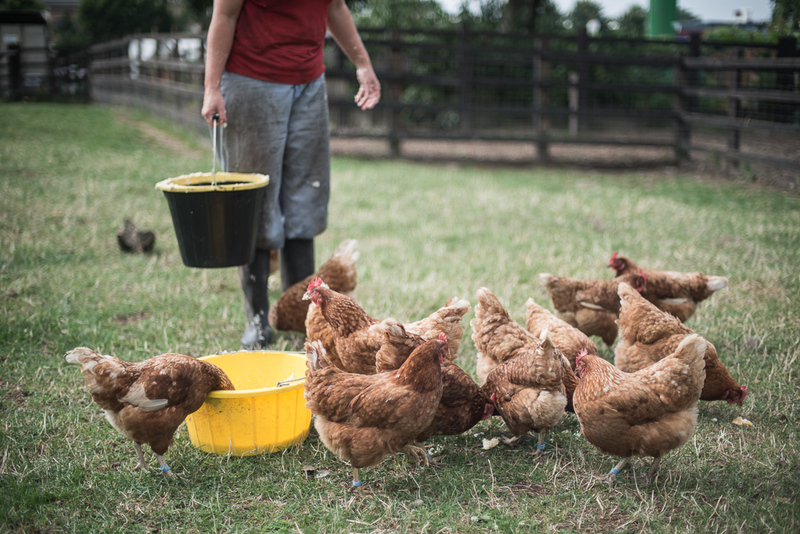 The impact of lifting the ban on feeding animals food waste could potentially have a significant, far-reaching impact on reducing greenhouse gas emissions, deforestation and various other critical issues of our time. If you would like to learn more about the campaign, and the work they are doing to get the ban lifted, visit The Pig Idea website.